Baked some mini French cakes - Friands for our weekend afternoon tea. "The friand is a small French cake, often mistaken for a muffin. Friands are little cakes typically oval in shape originally from France, made using ground almonds and melted butter. Having icing sugar and egg whites instead of whole eggs and very little flour, makes them light, while the ground almonds keep them chewy and moist. A friand is a French term for a little cake eaten with the fingers." 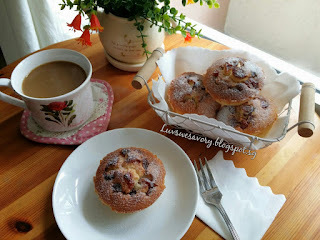 My previous 1st attempt in baking friands (Lemon Friands). Glad to be able to use muffin tin as I don't have the dainty pretty oval shaped friand tray. Recipe adapted from the cookbook Just 5 Ingredients Cakes & Desserts Published by Hamlyn. My slight modifications made in blue below. 225g caster sugar, plus extra for sprinkling (I used 190g caster sugar. 1) Grease a 12-hole muffin tin with butter or cooking spray. 2) Preheat the oven to 200°C. (*I adjusted to 180°C). Position the rack in the centre. 3) In a small saucepan, combine the dried cranberries with orange juice. Heat until hot and pour into a bowl and leave to cool. 4) In a clean mixing bowl, whisk the egg whites till foamy using the electric mixer. Add the caster sugar, plain flour and ground almonds and stir in until almost combined using a manual whisk. Drizzle the melted butter over the mixture, then stir together gently until just combined. 5) Evenly fill the lightly greased muffin cups using two spoons or an ice cream scoop. Scatter the dried cranberries on top and bake for about 20 minutes until golden and just firm to touch. 6) Leave in the tin for about 5 minutes before transferring to wire rack to cool. When serving, dust a little icing sugar or Snow Powder. Enjoy! 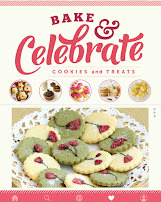 Happy baking & have a great weekend ! Ooh.... lovely friands! I could eat a few pieces with a cup of my favourite tea! Thanks for linking with Cookbook Countdown! Very informative write-up regards Friands, thank you! Your results look amazing! Hi Karen, 1st time knowing Friands. Interesting. Will try it out! 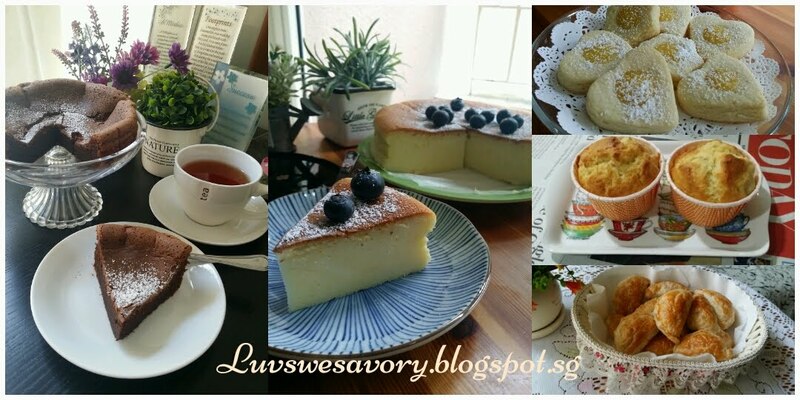 Hi Amy, I discovered it not too long ago ... let us know if you like these dainty cakes. I adore friands and these are so beautiful and delicious, Karen. Hi Angie, thanks. I'm beginning to appreciate these dainty cakes. Before this, I have not heard of Friands. 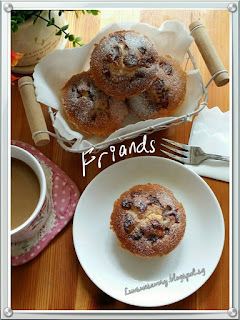 Hi Karen, alwatys learning something new on your blog, your friands look delicious!